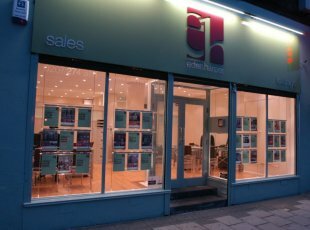 Both our Battersea & Brixton offices have benefitted from growth in the buy-to-let (BTL) market, with many investors finding properties through us and then renting them out with Eden Harper. However, times ahead may be more challenging for the BTL Investor. Property investors will have to pass tougher mortgage affordability tests under new regulations put forward by the Bank of England. BoE deputy governor Andrew Bailey says plans unveiled by the Prudential Regulation Authority could reduce lending to buy-to-let investors by up to 20% over the next three years. All the costs a landlord faces when renting out a property, including the fees charged by letting agents. Any tax liability associated with the rental property. A BTL investor’s personal tax liabilities, essential expenditure and living costs. A landlord's additional income if it is used to support the mortgage repayments. This income should be verified. The authority assessed 31 major lenders in the industry and found 75% already meet its new standards. However, five out of 20 lenders use a stressed rate of 5.47% or lower. The PRA states that lenders should not “base their assessment of affordability on the equity in the property that is used as security or take account of a future increase in property prices”. These include a 3% hike in stamp duty that purchasers of second homes have had to pay from 1 April this year and new rules to be phased in next year that limit the amount of mortgage interest relief available to buy-to-let borrowers. Eden Harper would advise any investor wanting to purchase a BTL property in Battersea or Brixton to get their mortgage agreed in principle before the PRA’s consultation period closes on Wednesday 29 June. We anticipate that the PRA’s proposals could create another rush to purchase BTL properties similar to the one estate agents experienced in the weeks running up to 1 April when the stamp duty paid on investment properties jumped by 3%. If you are considering a BTL investment and wish to discuss it in more detail please do not hesitate to contact us to run through the calculations. If you already own a home in Battersea or Brixton and want to discover how much it could be worth to a BTL investor, then contact Richard Symes at our Battersea office or Richard Sullivan in our Brixton office to arrange a free, no obligation market appraisal.